I am a sucker for pizza. I love everything about it so I had to find a way to have it even when I am on the Daniel fast. 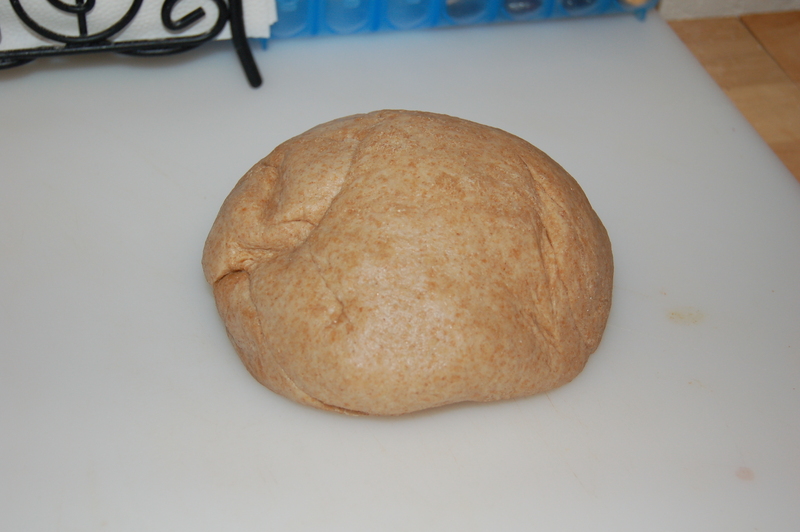 This dough has no sugar or white flour but is still very tasty. 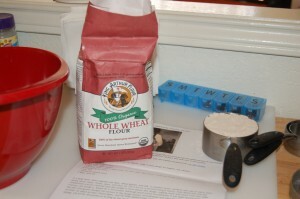 I came accross this recipe on a food blog called bread and honey. First, whisk the flour, wheat gluten and salt in a bowl. 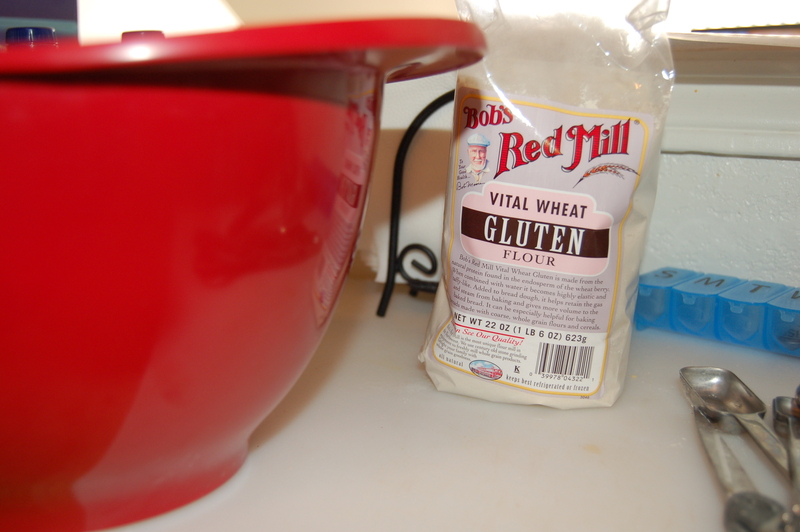 Wheat gluten gives it the doughy texture you want in pizza dough. In another bowl, combine a cup of warm water, honey, yeast and olive oil. Let it sit for about 10 minutes until it gets foamy. 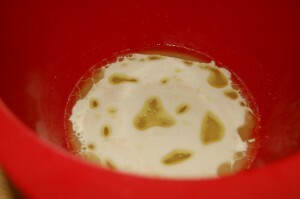 Dump the yeast mixture into the dry mixture and stir until it is easy to handle. 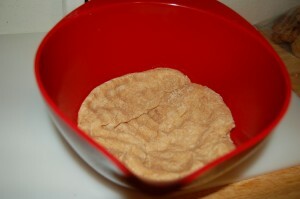 Put the dough in the greased bowl, cover with a damp towel and let it sit for 1 hour. 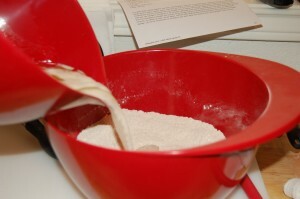 The dough will have doubled in size. 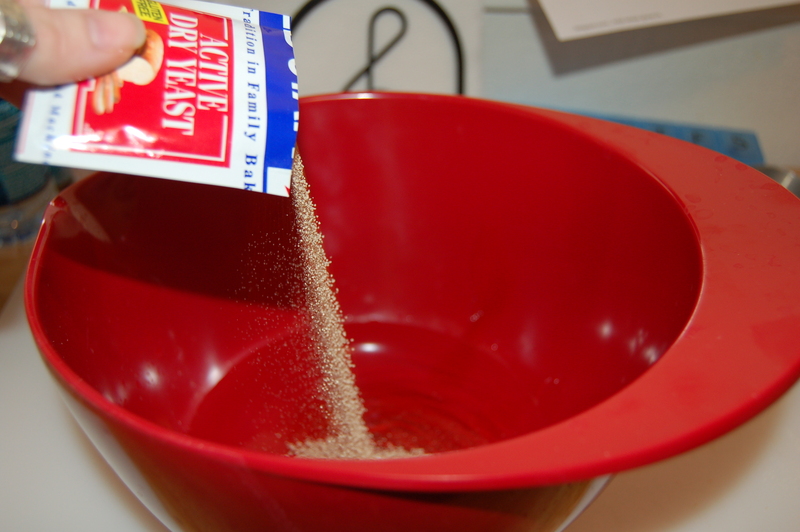 Punch down the dough. 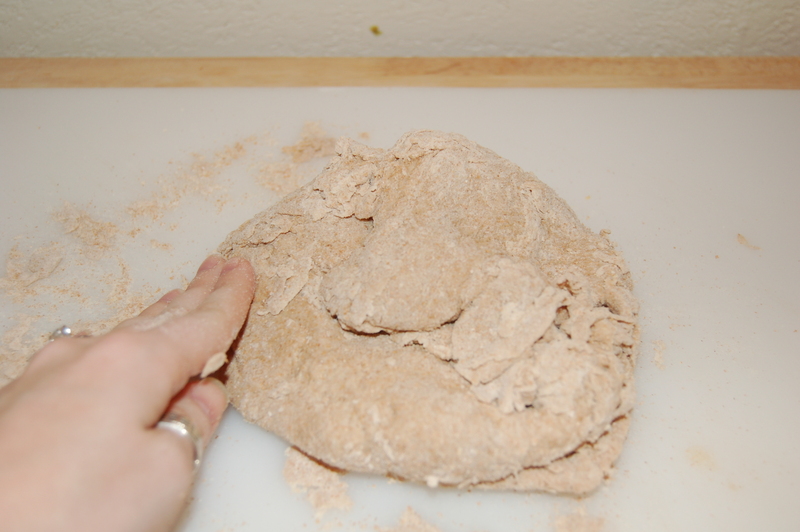 Knead into a ball, let it sit for 10 minutes and roll out to the desired pizza size. 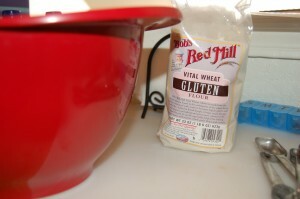 Whisk together the flour, wheat gluten and salt in a bowl. 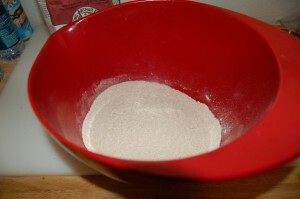 In another bowl, combine 1 cup of warm water, honey, yeast and olive oil. Let it sit for about 10 minutes until it gets foamy. Dump the yeast mixture into the dry ingredients and stir to combine. When it comes together to form a ball dump the dough onto a floured surface. 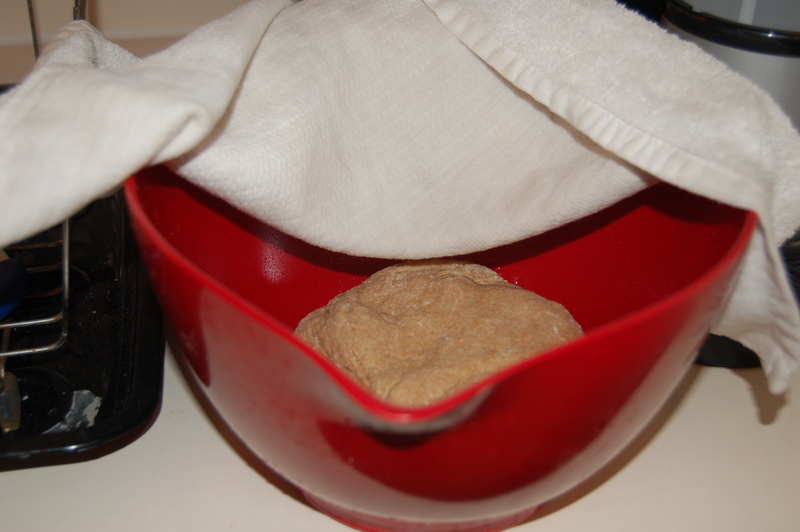 Knead for 5-10 minutes. 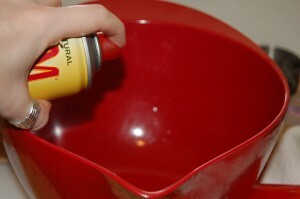 Spray a bowl with nonstick spray and put the dough in it. 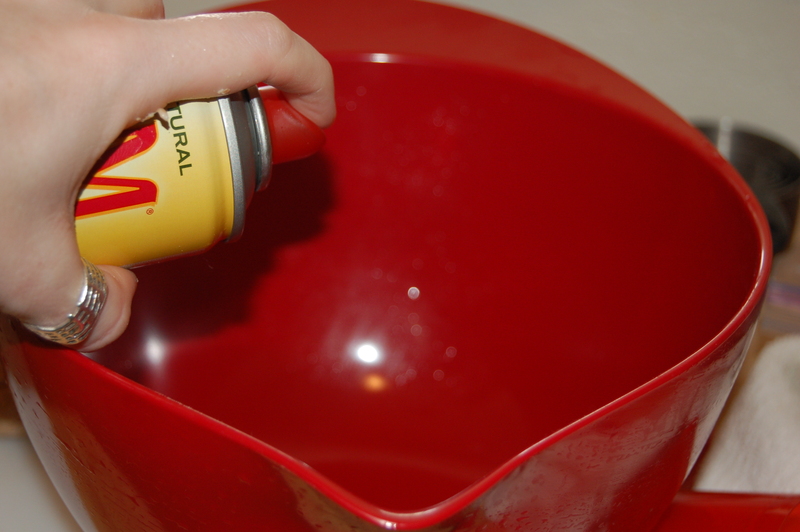 Cover it with a damp towel and let it sit for 1 hour. After an hour (it should have doubled in size) punch the dough down and knead it back into a ball. Let it sit for 10 minutes and roll out into your desired pizza thickness. This entry was posted on Thursday, January 14th, 2010 at 9:25 pm	and is filed under Blogroll, Mandy, Recipes. You can follow any responses to this entry through the RSS 2.0 feed. Both comments and pings are currently closed. On my Daniel fast I kind of picked what I cut out and what I didn’t. Our church wasn’t strict on the guidelines as long as we made an honest effort. I chose to cut out white bread but kept whole wheat in. I know it was kind of cheating but that was a sacrifice for me. I forgot to tell you in the previous comment that they make a pita bread called flatout bread. I’m not sure what’s in it exactly but you may check it out. You can top it with tomatoes and veggies and throw it in the oven to make it crispy and it’s pretty good.